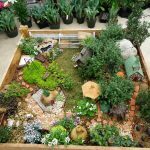 When creating your own miniature garden in your home there a few things to consider. First whether you want to create your garden in a container or in your garden bed. 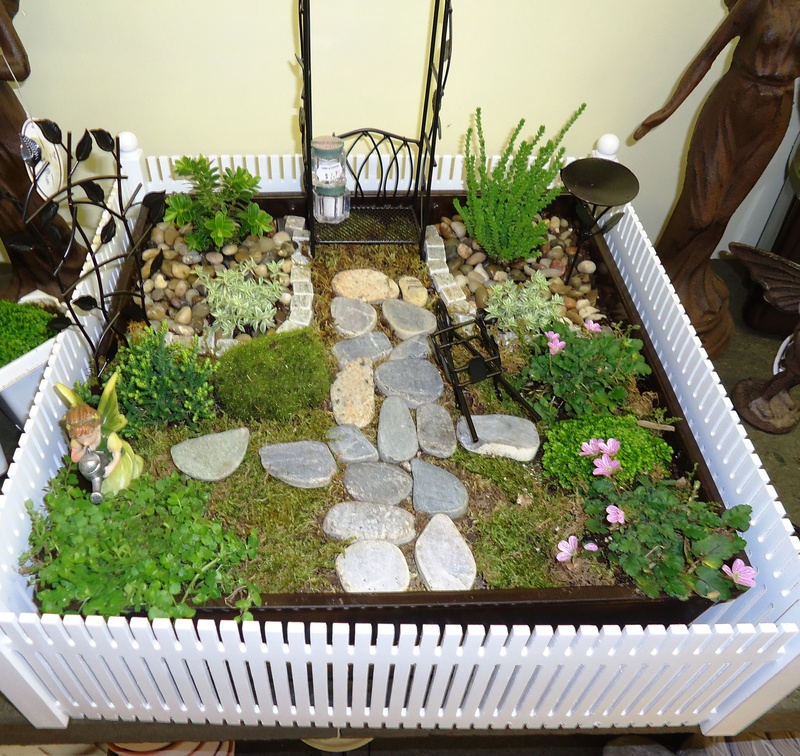 Where you decide to create your miniature garden helps to determine what plants you choose. When choosing a location for your mini garden, first consider how much light your garden will receive throughout the day. If you decide to create a mini garden in a container make sure the container is at least 5 inches high and has a drainage holes in the bottom. The container can be made of any material, such as plastic, fiberglass, ceramic, clay or glass. Just make sure you are can lift your garden, in case you need to water or move it. 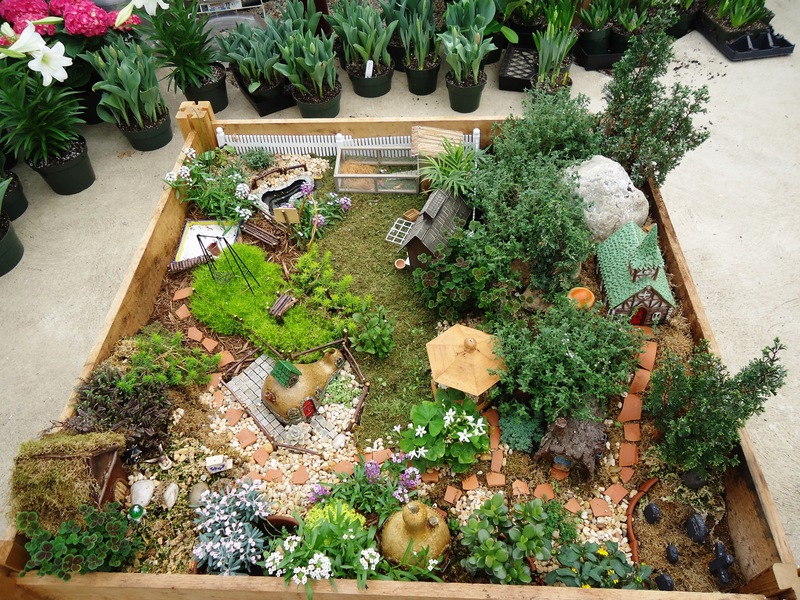 If you decide to make a miniature garden outdoors, the possibilities for your creativity are endless . When choosing the right spot in the yard for a miniature garden, you need to consider the space you want to invest into it. It could be a simple 2’ by 2’ section or an enormous 5’ by 5’ space. The key to an outdoor mini garden is planning. Your outdoor mini garden doesn’t just have to be a flat space, add dimension and curves to your garden. Think about adding mounds for hills or large rocks for a mountainous look..
After you have decided if you would like an indoor or outdoor garden, the real fun will begin. Creating a container miniature garden is fun and easy. Once you have decided which container best suits you, it is time to plan out your mini garden. How would you like it to look or be themed? 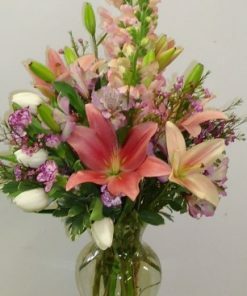 Do you want it to look like your fairies are at the beach, in the middle of the desert or in the wilderness. The possibilities are endless! Succulents and Cacti also make wonderful plants for mini gardens. They just require more light and heat than houseplants. 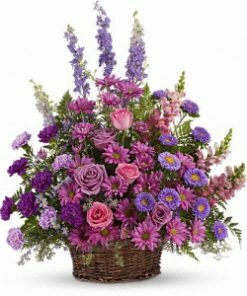 When choosing among the many houseplants out there, just be sure they will not get too big for your container. 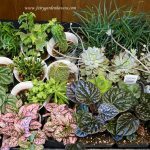 Most houseplants you are able to trim up in order to keep them small. Also do not fertilize your mini container garden because you do not want to encourage growth. After choosing your plants, container, and mini garden accessories it is time to get to creating a magical world. An outdoor mini garden opens the door to so many creative possibilities. 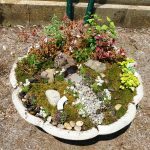 You want to choose a spot where your Fairy Garden can be permanent fixture in your yard for many reasons. One main reason is that you can create a magical world throughout every season for here in New England. We carry a generous selection of mini accessories for every season. Such as mini pumpkins, a snowman, train sets, mini Christmas gifts and so much more. Another reason for a fixed spot is because of the plants you add into the garden. Many outside mini gardens contain a variety of perennials which come back every year. When choosing that perfect spot just make sure the plants you plant in your garden all require the same amount of light. 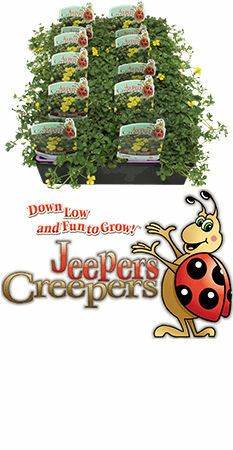 Along with t he Jeepers Creepers plants we have an assortment of other perennials that make great mini garden plants. They stay pretty small and with some trimming during the year, stay a perfect size. 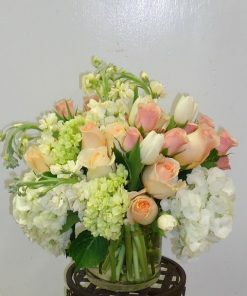 Some include: Primrose, Epimedium rubrum, Wild Ginger, Armeria, Sedum, Myrtle and Pachysandra. If your annuals start to overgrow your mini garden give them a little haircut or pull them out. Herbs also make a great addition for plants in your garden. 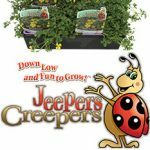 Try some oregano, parsley, creeping thyme, and different types of mints. The type of plants for your garden is up to your imagination and the look you wish to create. Don’t limit yourself to such a small size plant that there are not many to choose from. Your mini garden scale all depends on you. If you are unable to find a place for a mini garden in your flower beds, try creating a raised garden. A raised garden is perfect for a limited space or just to show off your creativity. 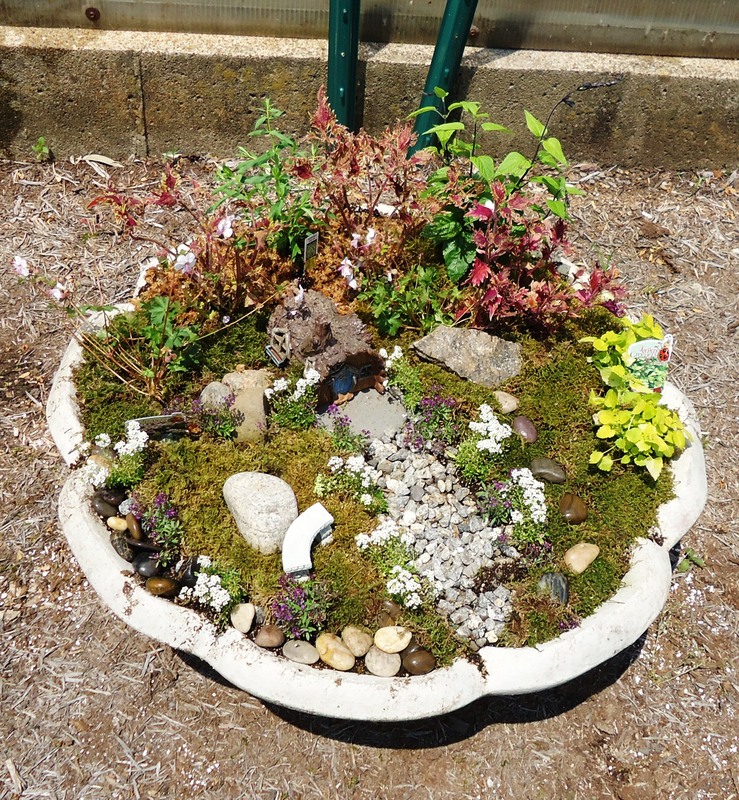 An outdoor mini garden is a fun, easy and magical project for the whole family. Adding new plants and décor through out the year will keep you busy. But think of it as an ongoing project that never ends. 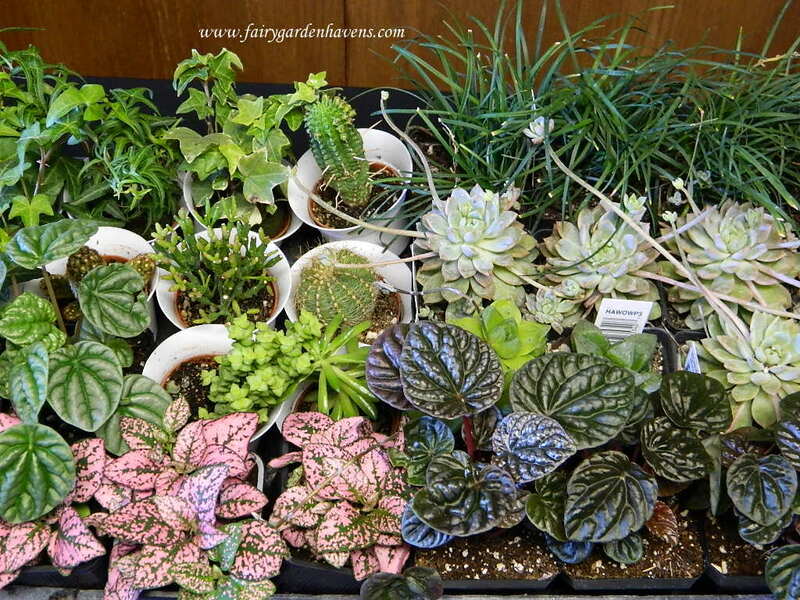 Caring for your miniature garden is the easy part. Make sure you keep your mini garden trimmed and manageable. Some plants might grow unruly and large within the garden. 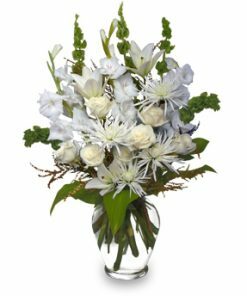 It is ok to cut them back or even pull them out if they grow too large. Watering is very important to your garden’s survival. Water when the garden feels dry to the touch. It is important that you do not fertilize your mini garden. You do not want to encourage too much growth. If you feel that your garden does start to look a little droopy then a mild fertilizer will be ok to use. Just remember that part of mini gardening is changing your garden and adding new plants and décor. 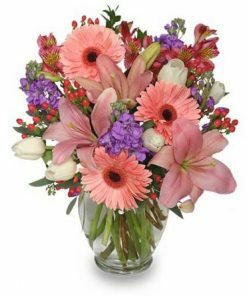 This entry was posted in Gardening Tips, Plant Care. Bookmark the permalink.